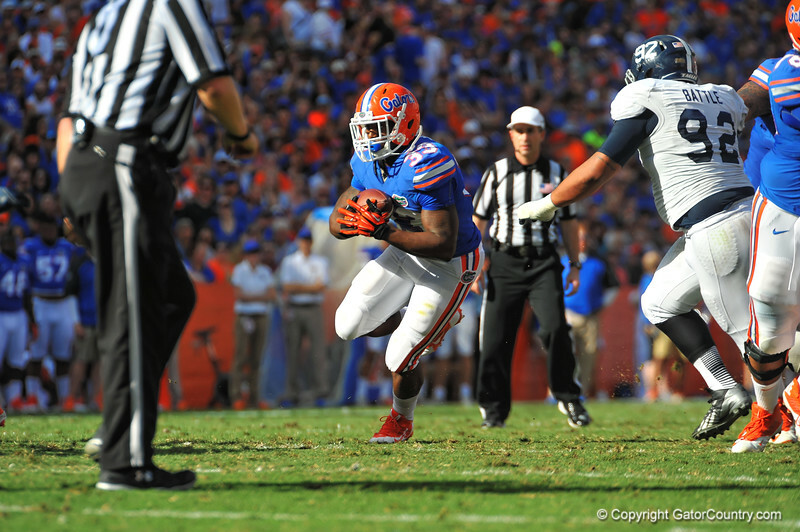 Florida Gator RB Mack Brown sprints upfield for a first down in the first quarter. Florida Gators vs Georgia Southern Eagles. November 23, 2013. Gainesville, FL.